Shipley Creative in Leigh, Greater Manchester provides graphic design and print media to customers across the UK. 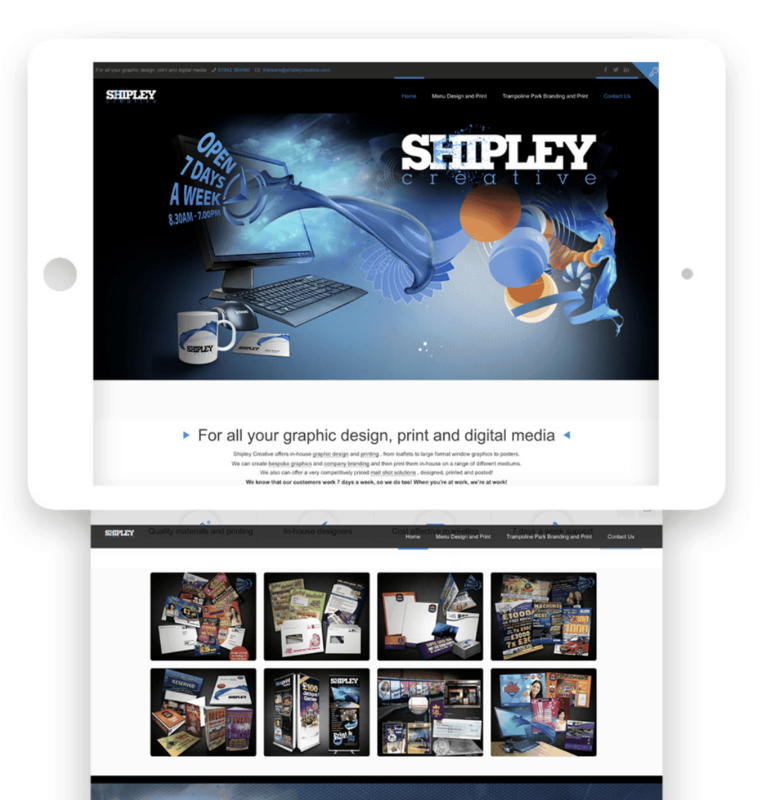 Task: Shipley Creative required a high end and graphical website to showcase their extensive experience in providing high quality graphics and print media. The site features a one page website that has the ability to expand over the coming months. This website was designed for a Leigh Creative Media Company.